Although I have to tell you that Thanksgiving is one meal I really don’t mind making (the holiday spirit propels you through the rough parts), this year I’ll be giving thanks that my sister-in-law is hosting, so all I have to do is bring a side dish. 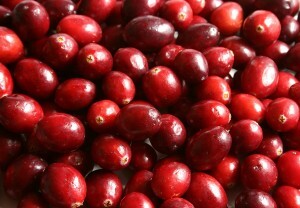 I like to offer to make cranberry sauce, since this is the easiest task there is. Plus you can make it days in advance, and just de-fridge it on the day, dump it into a scenic bowl, go to Julie’s house and grab a martini. 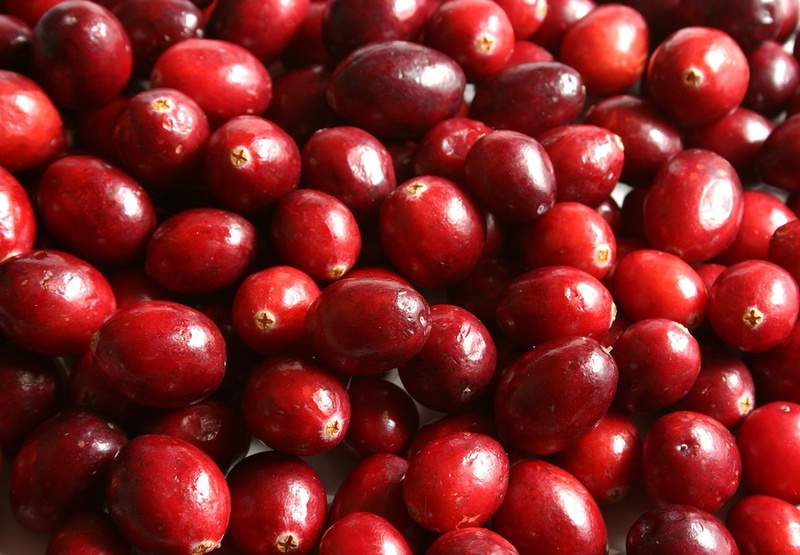 Here are two recipes for cranberry sauce. If you are making the whole damn dinner, I’d go with the simple, raw version, to avoid Thanksgiving burnout. If you are lucky enough to be invited to Julie’s house, make the fancier one, so people will think you actually lifted a finger when in fact it took you ten minutes, days in advance of the event. If you really want to be a hero, make both. 1. Okay, so first grate the zest off the orange with one of those tiny graters, trying to avoid scraping the skin off your fingers while you do this annoying task. Throw the zest in the food processor, then chunk up the fruit of the orange and throw that in too. 2. Core and peel the apple and throw that in the FP, along with the ginger, sugar, and cranberries. Pulse all this stuff until it looks like, you know, cranberry relish. 3. Take out a cute bowl, one that makes you look like you Â have been reading Martha Stewart’s Living magazine for years and have adopted her aesthetic. Put the relish in it and mix in the pecans, and you’re done. 1. Combine the wine and sugar in a medium saucepan and bring to a boil over medium heat. Try not to drink too much of the extra wine yet or you will screw this thing up. 2. Add the cranberries, cherries, tangerine zest and cinnamon stick. Reduce the heat and simmer the sauce, partially covered, until it thickens and the cranberries pop, about ten or fifteen minutes. At this point, you may drink a little of the extra wine because you are almost done. 3. Dump the sauce in a scenic bowl (see above) and refrigerate it until it’s time to go to Julie’s house, or wherever you are going. Put the wine bottle away now and get a grip. 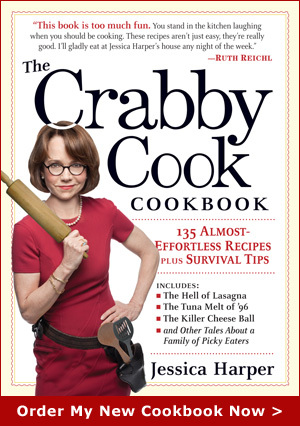 This entry was posted on Thursday, November 20th, 2008 at 11:25 am	and is filed under Beside Myself, Recipes. You can follow any responses to this entry through the RSS 2.0 feed. You can leave a response, or trackback from your own site.